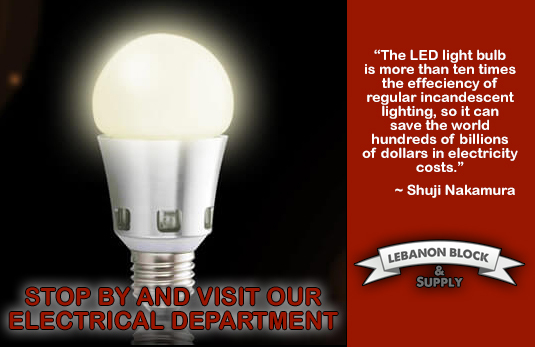 Lebanon Block & Supply has hundreds of brand name electrical supplies for the DIY’er and the Pro. Add some splash to your home redesign by adding new light fixtures and energy efficient light bulbs. Is it time to replace that older fuse box with a new load center? Check out our Electrical department for everything you need to get the job done.